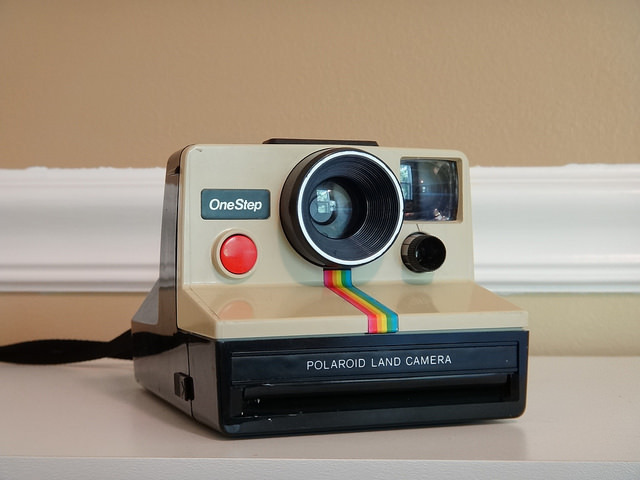 Do you remember the old Polaroid cameras popular years ago? You know, the big clunky, boxed looking contraption hung around every Parent or Grandparent’s neck at every birthday party in the ’80’s? 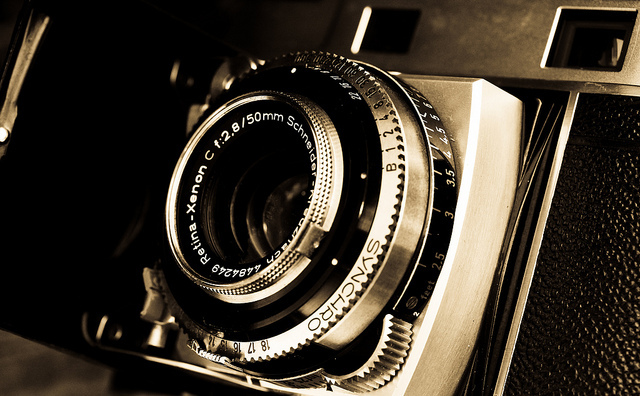 Back “in the day,” the camera promised COLORED Kodak magic right at your fingertips. Good-bye black-and-white! The digital age certainly changed photography through the years; but when I was a little girl, my Grandma could entertain her five grandkids with this type of camera for hours. I got so excited when she would bring this little novelty out for us. Grandma would gather her us all around; take a picture, the big flash blinding us for a couple seconds. Next, the camera would make a motorized, grinding, “it sounds like it’s about to do something really big (or blow up)” kind of sound. We waited. The shiny undeveloped photo would come barreling out of its slot, glistening white. We waited for a silhouette to appear (insert Jeopardy music). How would the picture turn out? We wouldn’t have to wait too long to see photographic artistry. After a minute or two, our little picture would start to come to life right before our eyes! Faces would start to show. Little tiny pixels (before Kodak even knew what a pixel was) would start to gather into images. 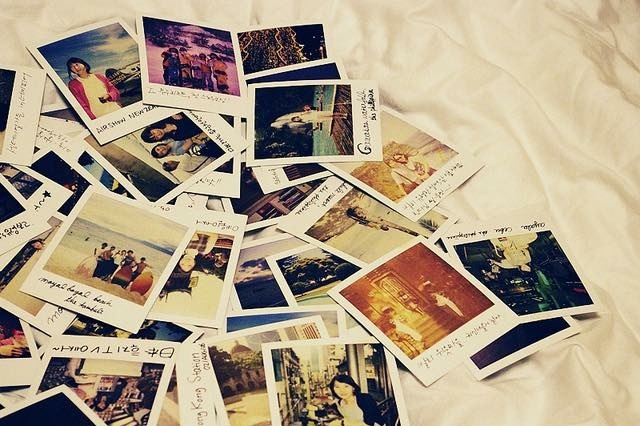 voila!…..Polaroid success! We had a photography studio right in our own living room. No more endless days waiting for pictures to develop only to find out too much light had entered the camera from the door in the back being ajar; therefore, ruining the film from light exposure (the faux pas of the 80’s). No more double negatives. No Sir…we had a Kodak novelty flashing its’ rainbow trademark on the side of the camera. The picture just had to be good. Grandma would put the glossy print gingerly down on the table. “Don’t touch it; you’ll get fingerprints on it.” The waiting proved to be just too much for this antsy five year old. I would end up most of the time picking the photo up too soon. More importantly, I wouldn’t pick it up carefully by the edges (photo etiquette at its finest). Sure enough…I produced smudge marks. Sigh. In a way, God develops us in much the same way. However, instead of a “quick pic,” He has our entire life to develop our character, develop our personalities, and frame our hearts. All of what makes you uniquely you is still processing. Don’t rush things by insisting on putting your own marks on what He is creating; marring His work. Allow His thumb print to become visible, NOT your own. What He is developing may not be in full focus right now. However, what you have been waiting for, the final portrait, is worth the wait. When Jesus is your personal Lord and Savior there is no red eye, no double negative or blurred views. His picture of you is His masterpiece; His one of a kind work of Art. So sit back, smile for the camera, position yourself to pose for Christ and wait for the film to develop. If you doubt He is working in your life… ask God for “proof” today. So far this one is my favorite. I love The connections between the picture and God! It’s going to be a great way to remember that I’m still processing and to have God’s thumbprint on me!